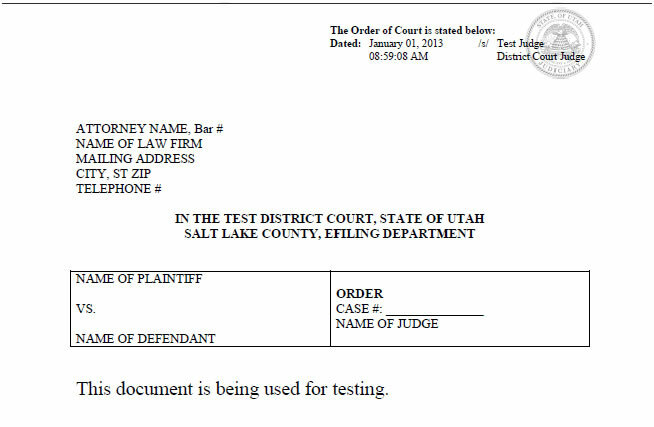 The Utah Courts informed Green Filing that they have released a new version of their Judicial Signature application that will now place the Judge’s signature stamp at the top of the document, rather than at the bottom. Here is the exact information they’ve shared with us. 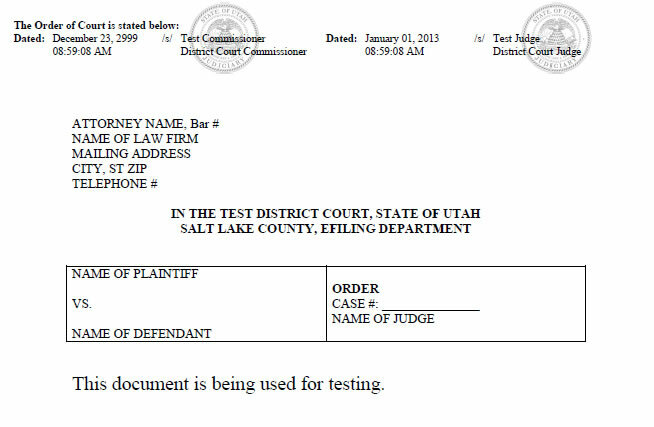 Detailed Description of Change: The Board of District Court Judges approved a change to place the court seal and signature at the top of the document. This means that fewer documents will need to be edited. Manually placing the signature within the document is no longer an option. Judges’ and clerks’ signature blocks will be placed in the upper right corner of the document, and if a commissioner’s signature is applied, it will be in the upper left, as shown in the examples below.